Last weekend, my niece celebrated her birthday. She requested a tea party for her and 6 of her closest gal pals. Savvy Sis, being the loving mommy, went to work and planned a spectacular birthday tea party. After seeing these pictures, my girl friends commented this party would be quite snazzy and appropriate for a big girl as well. 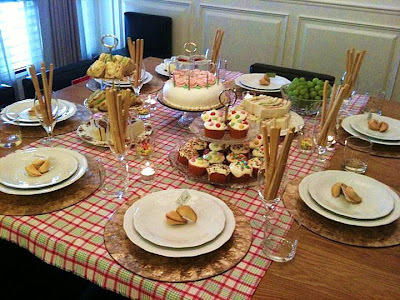 According to Savvy Sis, putting together an afternoon tea party is not that difficult at all, but it does require some planning and setting up. Of course presentation can make or break a party. Instead of making everything, Savvy Sis ordered sandwiches, little sweets and the cake. She had her kids help with cupcakes and jello, which they enjoyed the process. Adding fruits make this tea party more nutritious and colorful. I like her idea, it is not necessary to slave over a hot stove. I rather buy ready made or semi-homemade products so I can spend more time with my guests. Like Savvy Sis, I think presentation is quite important. If I am going to entertain already then I will want to wow my guests. I like using tiered plate tower to add height and dimension to the table. Of course, small details will be the finishing touch. Using fortune cookies to hold name tags so each guest will have his/her own placement without having to ask. Instead of candle holder, put little tea candle inside a clear glass cup is safe and unique. After this birthday party, I think I am ready to host a big girl party for my gal pals on a lazy weekend so we can all relax and unwind. 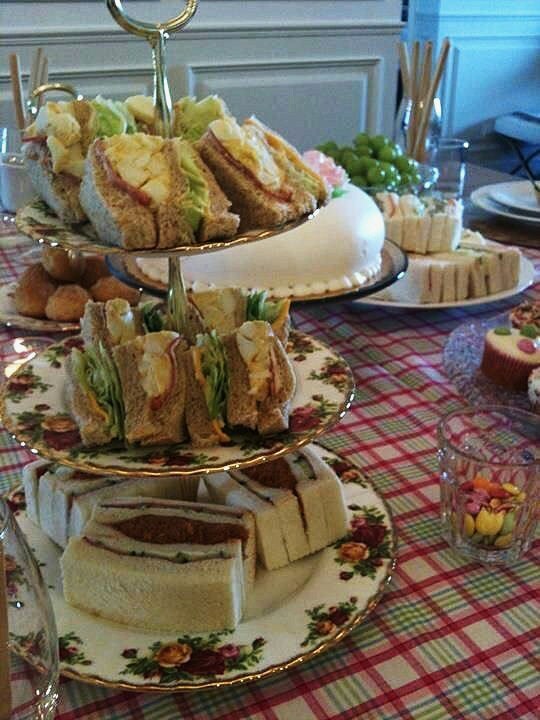 Have you hosted afternoon tea party at home before, and what is your tip or shortcut to share with us? Cute party! 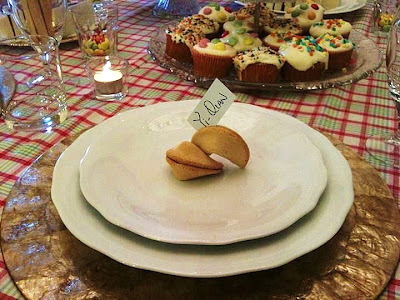 I like the fortune cookie name placecard idea. I'm with you--I'd order in the food if I could. This is so fun! I had a tea party once, but it didn't look as nice. My sister is a great hostess. She is the one who did all the decor. From her, I am inspired to host my own tea party at home formally for my friends. I'm feeling faint just seeing all this deliciousness! How awesome. 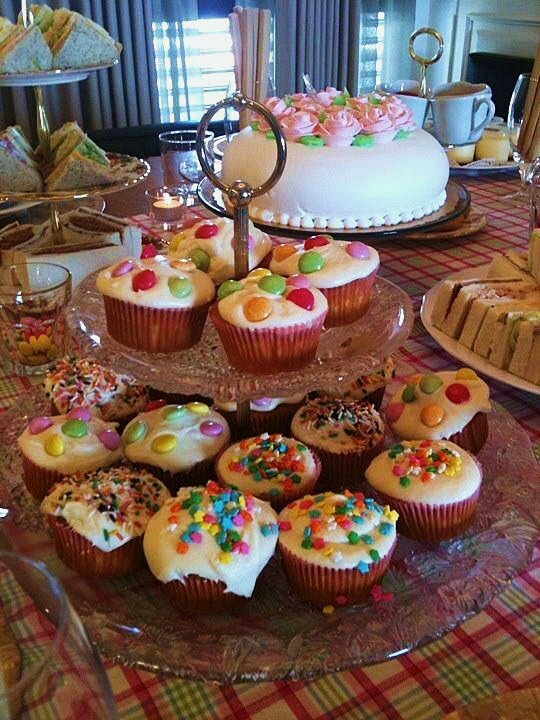 I've never been a part of a tea party and this looks all fantastic and pretty! I adore afternoon tea. Everything looks delicious.